Early Bloomer. 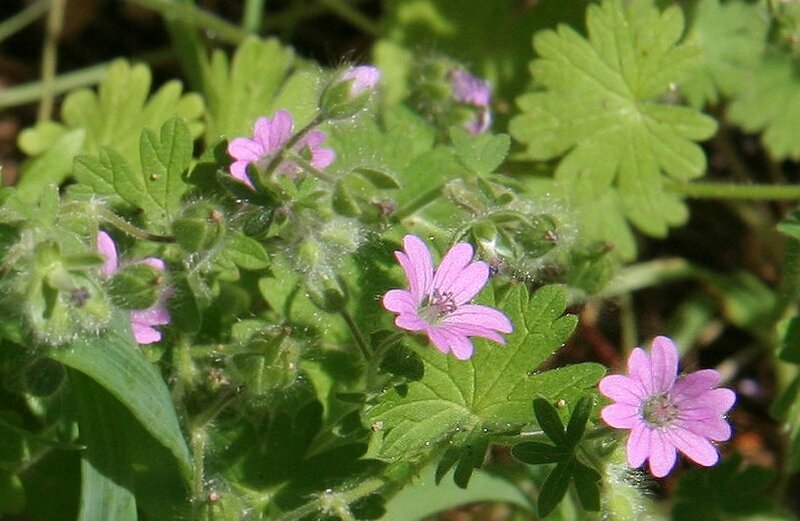 Tiny pink flowers, 5 petals, low-growing plant. Rounded soft leaves. Plant used for food, medicine. 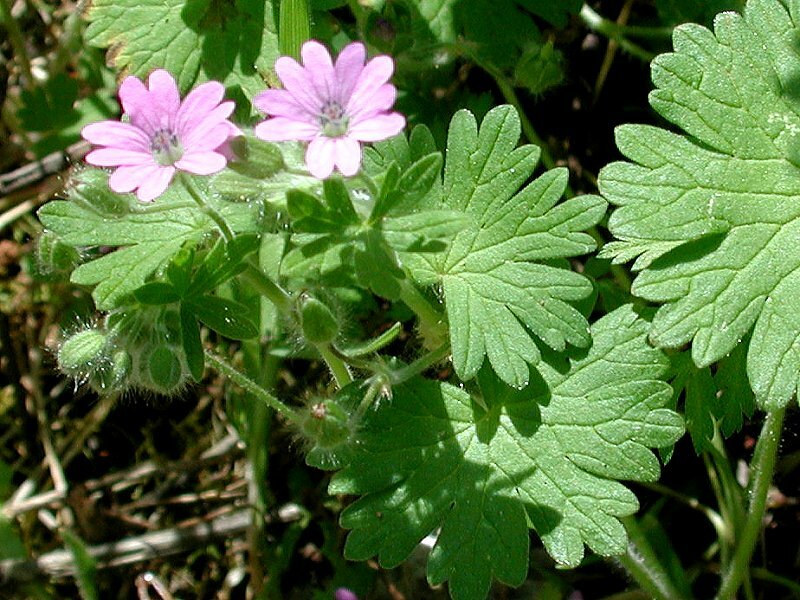 Notes: Geranium family. A low, nearly prostrate, tiny-flowered species. The rounded, deeply veined leaves have short, blunt lobes. Likes open meadows and woods. 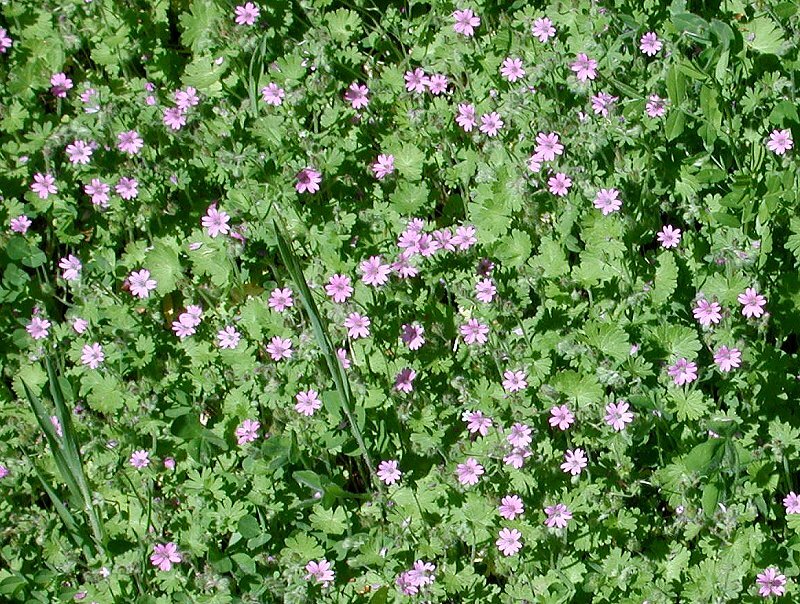 This carpet of geraniums extended for may yards along the dirt road on the opposite side of Wood's Bridge.